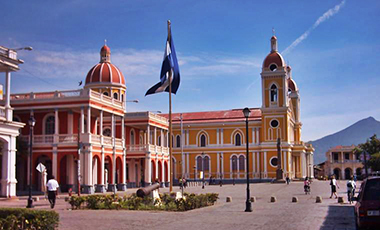 Granada is considered one of the most beautiful colonial cities in all of Central America. It has a rich colonial heritage clearly seen in its architecture and structure. Many expats move here for the amazing ambiance. Granada is a city in western Nicaragua on lake Nicaragua, which is the largest fresh water body of Central America. Granada is also the capital of the Granada Department. With an estimated population of 120,000, it is Nicaragua's fifth most populous city. Granada, historically was one of Nicaragua's most important cities economically and politically spoken. Granada is the most popular tourist destination due its incredible ambiance, colonial style and large selection of rentals and hotels that put its visitors at awe. The weather is cooler than Managua or Leon and the building codes preserve its beautiful colonial style. Granada hosts many islands where rich families constructed their homes upon especially during the Sandanista Revolution. Granada has great restaurants and surprisingly active night life due to many tourists that flock to this exceptional beautiful city. Only the City of Leon rivals its architecture but enjoys a much cooler climate and borders the lake with breathtaking views.